Made in accordance with the applicable rules and low no. 46 of 5th March 1990and Presidential Decree no. 1095 dated 3rd August 1968, it is an "ESENCOR" CU DHP copper alloy pipe complying with European Standard EN 1057 - annealed in coils and phosphorous-deoxidised, with minimum 99,9% copper content and 0,015 - 0,040% phosphorous, in compliance with UN1 5649/71 series B, heavy, bearing the marking "ESENCOR D x thickness EN 1057 CU DHP 99,9% SIM I 00". 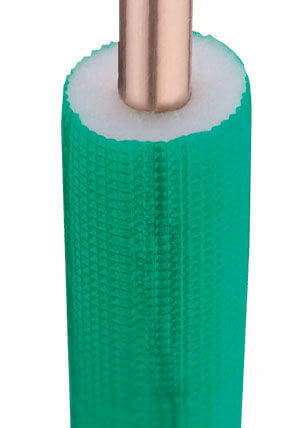 Covered with a low-density closed-cell polyethylene foam steath of a thickness complying with low no. 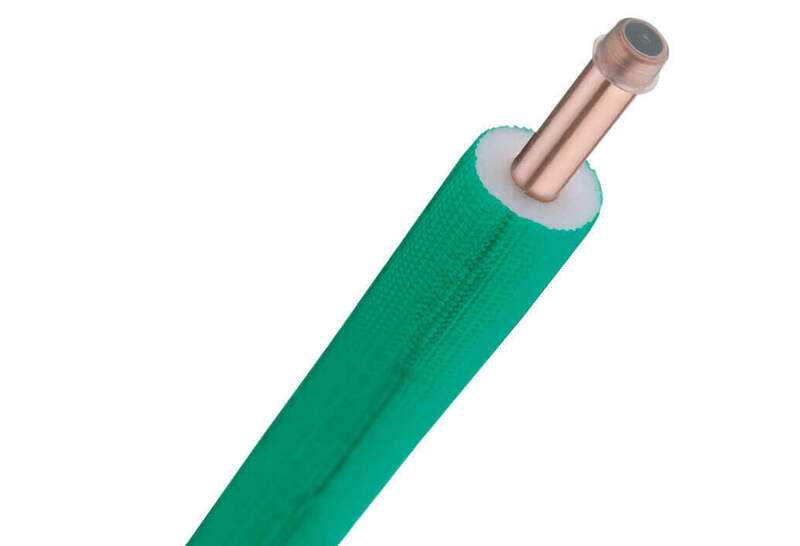 10/91 that is finished with an outer water-green LDPE extruded film and embossed to ensure improved mechanical protection and appearance. It is non-toxic, odourless and free from chlorofluorocarbons (CFC). The Isoclima insulating sheat, which adheres to a non-flammable base, melts flamelessly and thus belongs to self-extinguishing CLASS 1 (UNI 9177-87) and bears the progressive marking "00 ISO REFRY RIV. L. 10/91 OD x thickness CL. 1" as well as an indication of the date, time and production line for quality control purposes. The main features of the Isorefry sheath are its compactness, thickness and composition, excellent resistance to water vapour, significant reduction in moisture on the outer surface of the pipe when supplying water at dew point temperature. 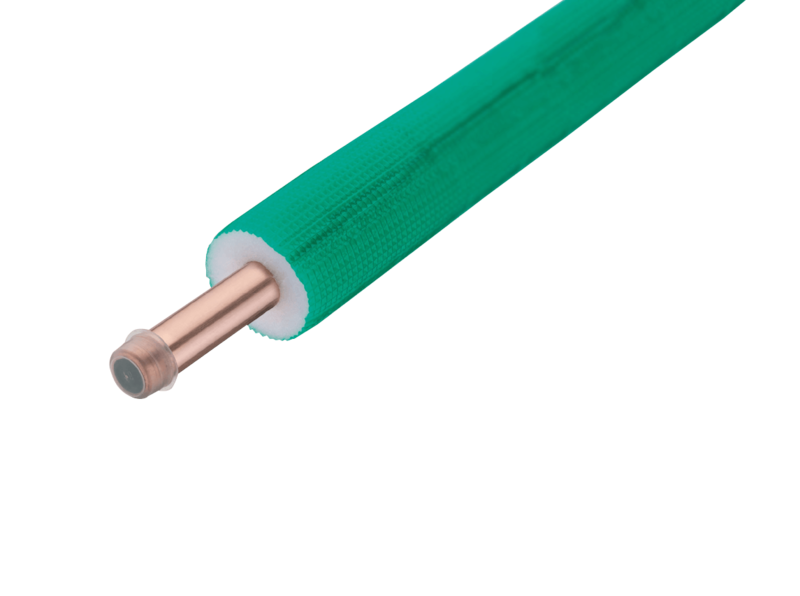 Isorefry insulated copper pipe is mainly used in air conditioning and refrigeration systems.